This week a couple of us with the clinic received an email from one of our regular blog readers. It was so touching that Dr. Frank and Kris decided to copy the email for our post on this weekend of remembrance ceremonies and events. This morning as I watched the ceremonies on TV hosted by Brian Williams, he talked to the last survivor pulled from Ground Zero, Genelle Guzman-McMillan. 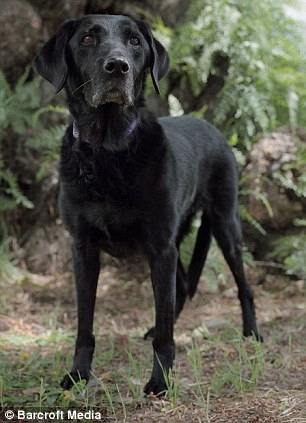 Brian Williams mentioned the dog who found her scent and Genelle said his name was Tracker. 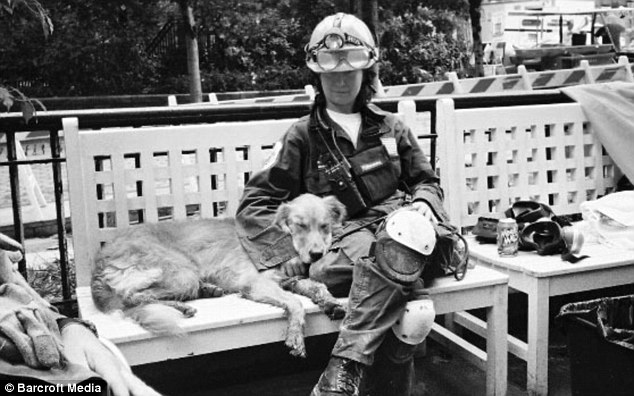 I’m assuming he is not with us anymore and I know nothing else about him, but the pictures below are search and rescue dogs who also worked on “The Pile” and at the Pentagon who are still alive today. We don’t know where this email originated, but we are honored to spread these photos to our little piece of the canine-lovers world. 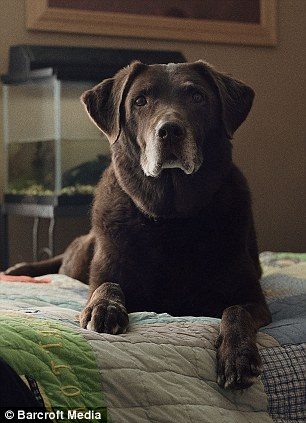 Now, ten years on, just 12 of these heroic canines survive, and they have been commemorated in a touching series of portraits entitled ‘Retrieved’. 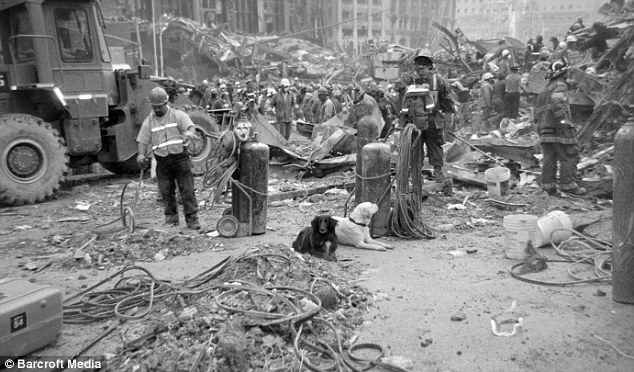 The dogs worked tirelessly to search for anyone trapped alive in the rubble, along with countless emergency service workers and members of the public. Their eyes say everything you need to know about them. Just amazing creatures. 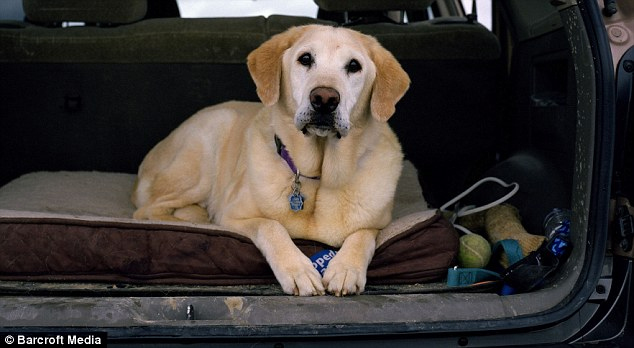 Moxie, 13, from Winthrop, Massachusetts, arrived with her handler, Mark Aliberti, at the World Trade Center on the evening of September 11 and searched the site for eight days. Tara, 16, from Ipswich, Massachusetts, arrived at the World Trade Center on the night of the 11th. 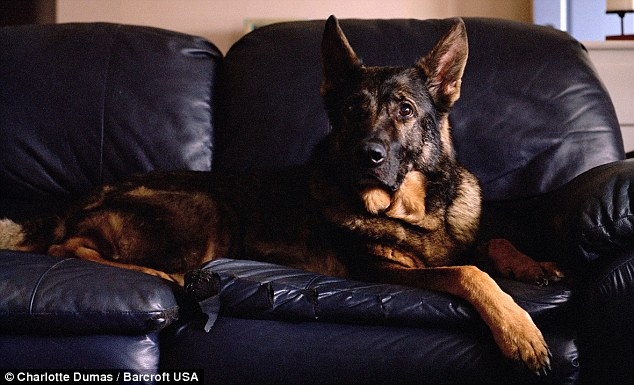 The dog and her handler, Lee Prentiss, were there for eight days. Bretagne and his owner Denise Corliss from Cypress,Texas, arrived at the site in New York on September 17, remaining there for ten days. 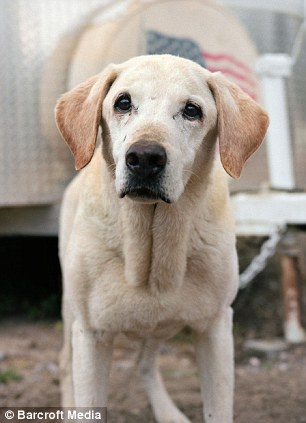 Guinness, 15, from Highland, California, started work at the site with Sheila McKee on the morning of September 13 and was deployed at the site for 11 days. 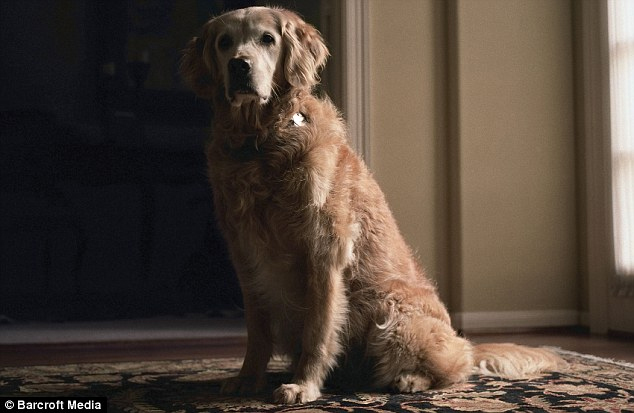 Abigail, above, was deployed on the evening of September 17, searching for 10 days, while Tuff arrived in New York at 11:00 pm on the day of attack to start working early the next day. 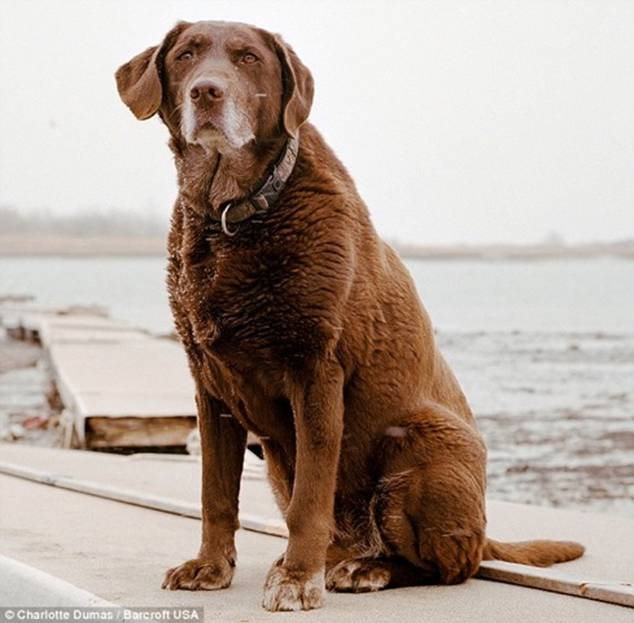 Traveling across nine states in the U.S.from Texasto Maryland, Dutch photographer Charlotte Dumas, 34, captured the remaining dogs in their twilight years in their homes where they still live with their handlers, a full decade on from 9/11. Their stories have now been compiled in a book, called Retrieved, which is published on the tenth anniversary of the attacks. 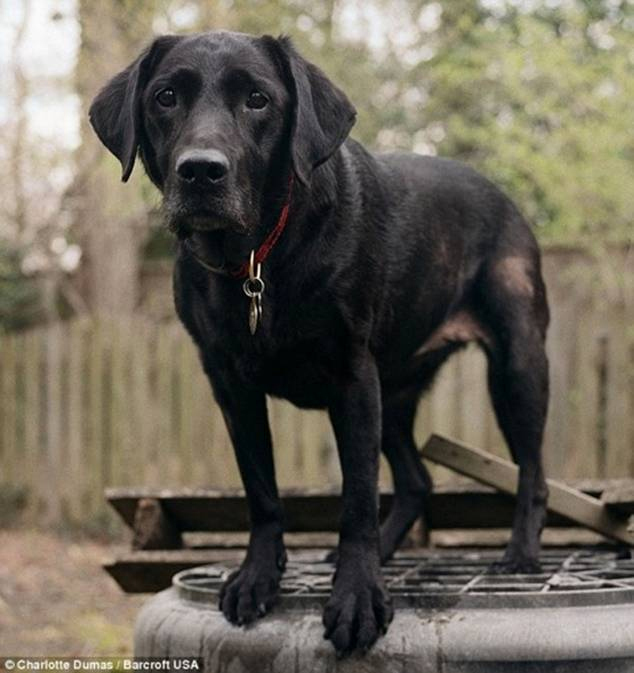 Noted for her touching portraits of animals, especially dogs, Charlotte wanted Retrieved to mark not only the anniversary of the September 2001 attacks, but also as recognition for some of the first responders and their dogs. “I felt this was a turning point, especially for the dogs, who although are not forgotten, are not as prominent as the human stories involved,” explained Charlotte, who splits her time between New York and Amsterdam. 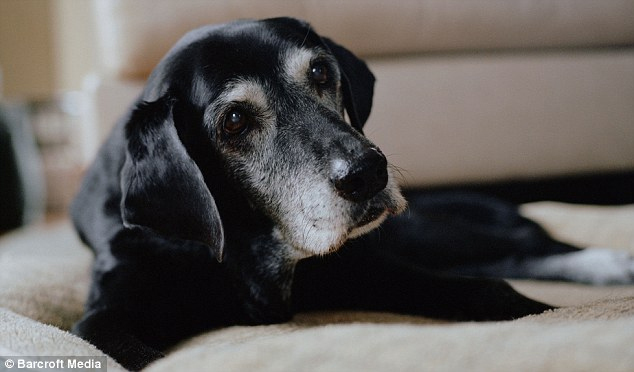 We at Harmony Animal Wellness Center couldn’t agree more, and we thank Charlotte Dumas for commemorating these dogs’ selfless work and lives. 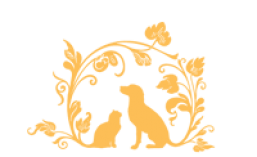 This entry was posted in All, Dogs and tagged dog, small animal vet. Bookmark the permalink. 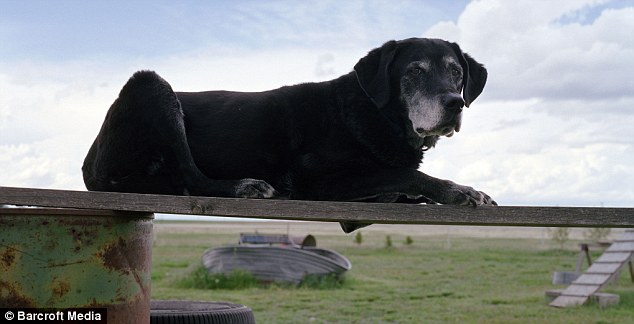 ← Your Pet’s Weight – Healthy or Tubby? Each of these dogs deserve big fat hugs and a lot of smoochies for the wonderful work they did.